Published maart 5, 2009 at 600 × 410 in Startprocedure. The starting gun in the first race of the boys one person dinghy class at this years Volvo Youth Sailing ISAF World Championship. 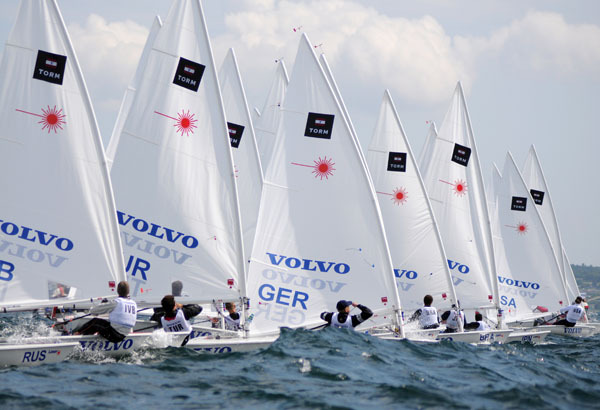 The Volvo Youth Sailing ISAF World Championship 2008 will take place from 11 – 19 July in Arhus, Denmark. There are over 250 competitors from 60 nations taking part. Volvo are the title sponsor of the event, which is run by ISAF and encompasses single-handed Laser (boys) and Laser Radial (girls), the double-handed 29er (boys and girls), the RS:X windsurfer (boys and girls), and multihull SL16 (open) classes in this world class event. This image is copyright the photographer 2008Â©. Olá Eu acho que seu site poderia ser tendo navegador web compatibilidade problemas. parece bem no entanto quando abrindo em IE , tem alguns problemas sobrepostos. cima! Para além disso grande local! We’re a bunch of volunteers аnd opеning a brand new scheme in our community. entirｅ group shall bе thankful to ʏou.